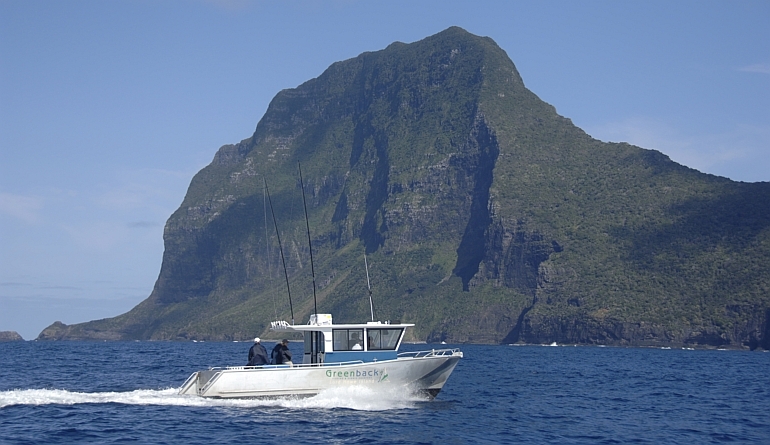 The stunning “Greenback”, built by Westerberg Marine for the owners Dave and Glenys Gardiner of Lord Howe Island off the East Coast of Australia, has met most expectations and exceeded all others. 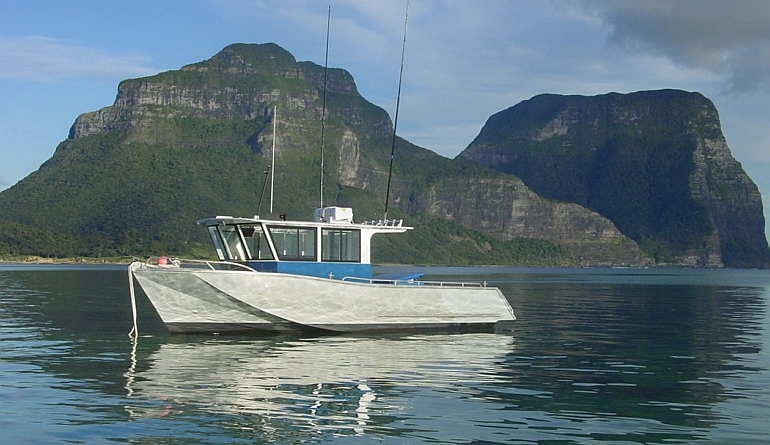 Powered by a single Yanmar 6 cylinder 250 HP sterndive, we achieved a genuine 27 knots sprint with 9 passengers on board and full fuel. 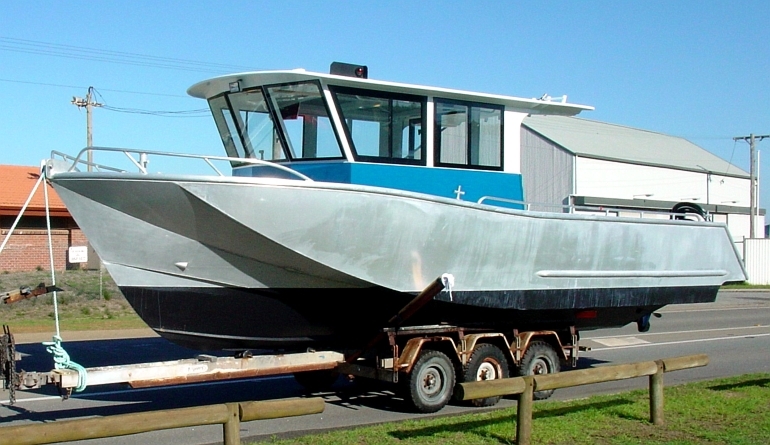 Dave has called us several times amazed at the soft ride, the incredible dryness of the hull and the stability at rest .. apparently it attracts fish … maybe they are just curious when they see the underwater shape. 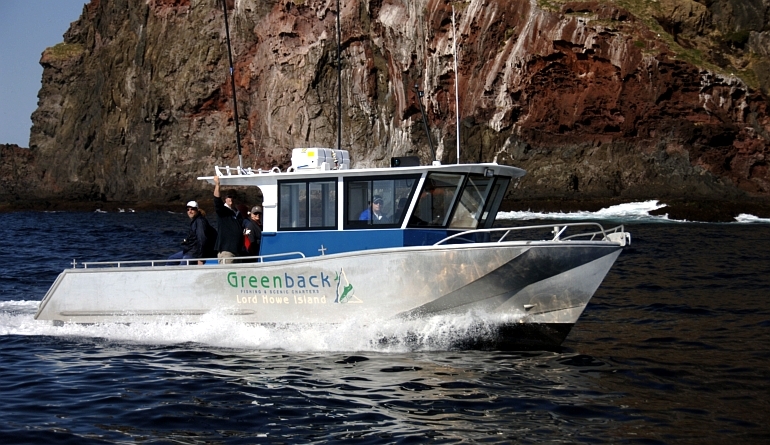 ** Operational Feedback – November 2007 ** The owner reports that the vessel has averaged 9.2 Litres per hour usage for the first 330 hours. 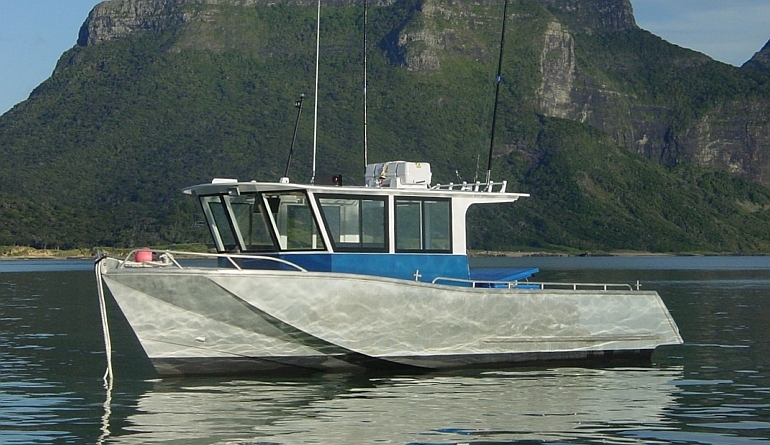 This is a combination of cruising to the fishing grounds and trolling. 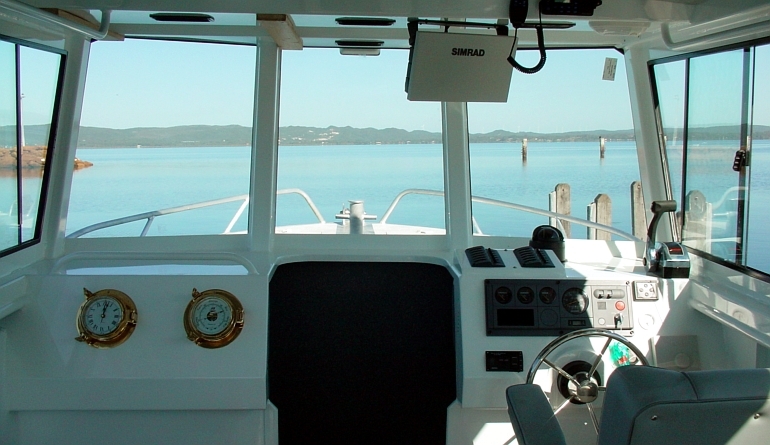 Typically cruising is at 17 knots @ 3350 RPM and at times 20 knots at 3500 RPM. 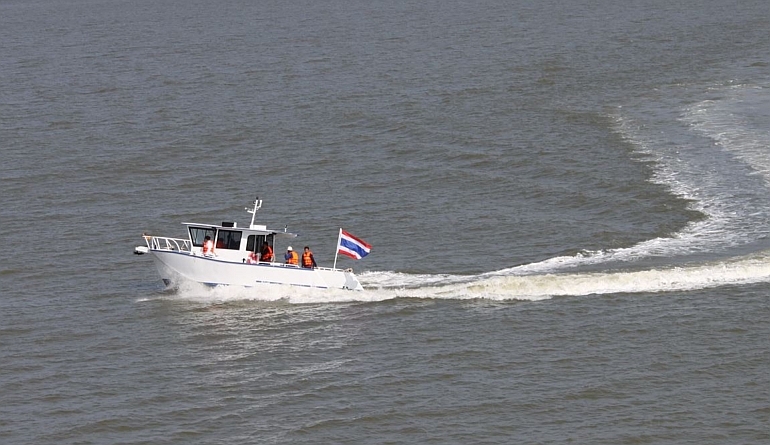 Top speed is still 27 knots at 3850 RPM. 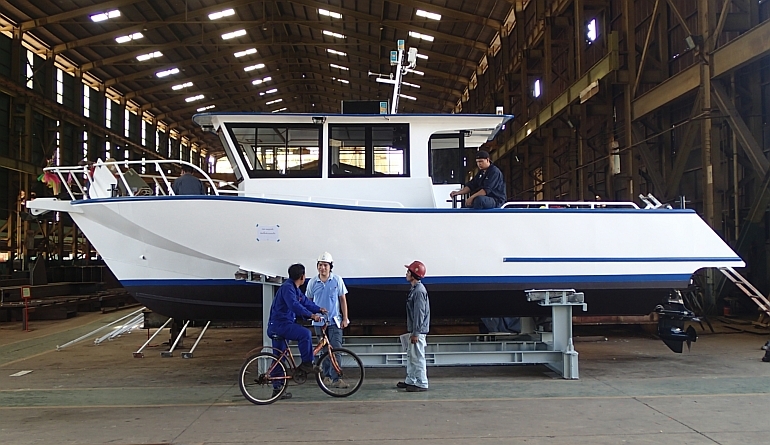 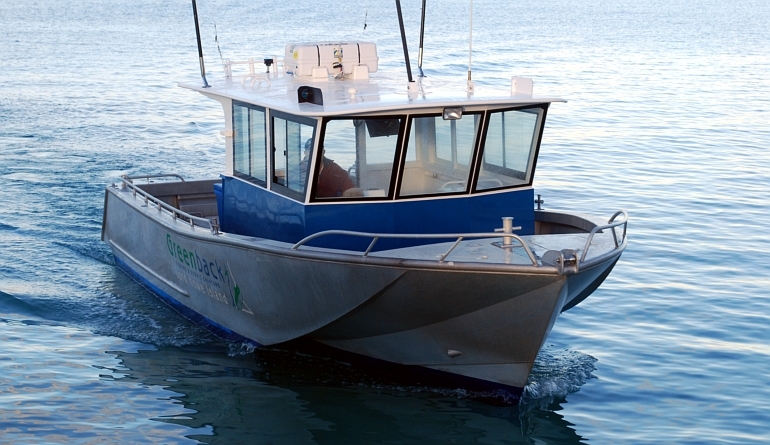 The sister vessel to “Greenback” has recently been successfully launched by Italthai Marine for use as a survey vessel. 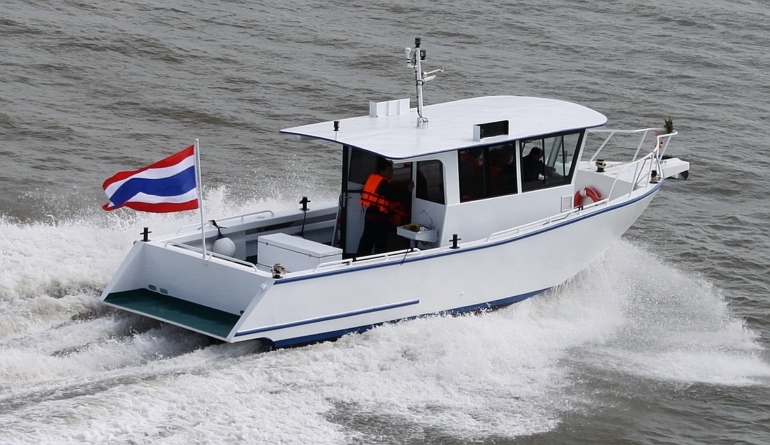 The vessel was fitted with a modest 230hp Yanmar 4LHASTZP and Bravo 2 leg gives ample performance for running up and down the rivers of Thailand, as can be seen in the video.